In the 80s and 90s no two names were more synonymous with L.A.’s metal scene than KNAC and Screamer Magazine. Together they brought L.A.’s thriving music scene to the rest of the world. You could not watch an episode of Headbanger’s Ball without seeing a band proudly brandishing their KNAC T-shirts and you could scarcely find a show on The Strip that didn’t have Screamer or KNAC involved with it. Well now, after nearly 18 years the twin terrors are back together! RadioScreamer is VERY proud to announce that KNAC.com will be airing our program every Thursday night at 7:00 pm PST. KNAC.com com is also the home of Eddie Trunk Rocks. 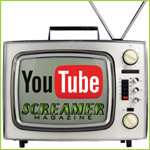 RadioScreamer is an audio offshoot of Screamer Magazine, L.A.’s premier hard rock/metal magazine. 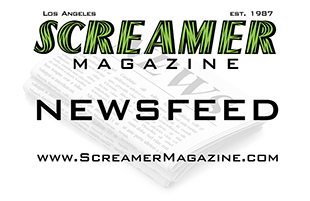 From 1987-1992 Screamer Magazine was the pre-eminent authority of L.A.’s music scene and together with KNAC radio was responsible for breaking numerous metal bands during the 80s and 90s. In 1992 Screamer Magazine went national with its cutting edge coverage of metal music and lifestyle and eventually concluded its print run in 1994. Screamer Magazine is now back online and includes digital downloads of rare and collectible back issues, along with current coverage of your favorite bands. Radio Screamer plays the absolute best 80s and 90s metal. You will hear all your favorite bands ranging from Poison to Pantera, Motley to Metallica, Slaughter to Slayer and everything in between!